OPERATION ZIPPER was/is the CIA’S Code Named File for the planning of the assassination and the cover-up in the assassination of President John F. Kennedy. The National Archives is/was scheduled to release this information in the year 2017, unless it is further delayed. The “ZIPPER” document reveals the names and official positions of those who directed the killers. By late Feb 1963, a general outline of the plot was well set. Chicago mob boss Sam Giancano was contacted for possible assistance. He suggested recruitment of the shooters might be better done outside the U.S. The CIA’s liaison with the mob was James J. Angleton, an agent in charge of counter-intelligence, and Johnny Roselli. They were asked to eliminate the shooters after their job was done. Mary Pinchot Meyer, a long time mistress of JFK, was shot to death Oct. 12, 1964. She was found in a wooded area near her Georgetown studio. She’d been shot once in the head and once in the upper body, a professional technique. She was also the former wife of Cord Meyer Jr., a senior CIA official. 1) The CIA was the prime mover in the regicide of JFK; the CIA’s reason was that it was JFK who was leaking the classified PDB (Presidential Daily Briefing) to the Russians, which was treason and the CIA considered a number of ways to remove Kennedy, including impeachment, but, in the end, they chose to fully neutralize him. 4) The main shooters were Mafia sharpshooters; the Mafia wanted JFK gone because of RFK’s pursuit of the Chicago Mafia, who never expected the Kennedys to go after them, because of one of their own, Joe Kennedy, who chafed badly from Capone’s shaming Joe in the past, so Joe wanted revenge. It was great prestige for the Mafia to have a Kennedy as President. At Joe’s insistence, RFK went after the Chicago Mafia with a vengeance that shocked the Chicago Mafia, so they were eager for payback against the Kennedys. Also consider this page of The Nightwatch, the autobiography of David Atlee Phillips, CIA western hemisphere chief and handler of Oswald. His story of the giant snake is probably a covert reference to the JFK assassination. Philips and Ed Lansdale the head and tail zippermen? 1. Operation Zipper was the Military Industrial Complex and the War Profiteers planned military-style assassination/coup d’état that had to succeed at all costs with the killing of JFK asap. 4. Tosh Plumlee, CIA pilot, who flew in Johnny Roselli into Dallas that day, alleges that he was there to stop the JFK assassination attempt in Dallas, Texas, as did Johnny Roselli profess to Charles Nicolleti and James Sutton. 5. Marita Lorenz spoke about driving with Frank Sturgis (aka Fiorini) from Miami to Dallas, too. She stepped out before Dallas, though. 6. Accardo/Giancanna/Roselli/Nicolleti/Sutton’s attempt, only, to possibly allow other later attempts that day to succeed? Had an attempt already been stopped, or missed at the airport? Were the explosives in the box car for a diversion only, or were they linked to yet another possible assassination attempt on JFK? What about the speech at the Trade Mart? Shooting JFK from a sniper position like Jimmy Sutton, or possibly shooting JFK in the kitchen ala RFK, like Sirhan Sirhan and Thane Cesar? What about tasteless, colorless, odorless poison for poisoning sake, or even an undetectable heart attack similar to what had been planned for Fidel Castro, while JFK ate at a business luncheon with 2,500 observers and eye witnesses? During the late 1950s and into the ’60s, America was at a crossroads. Massive sums had been spent on the coldest part of the Cold War. Stalin had died, however. Even the living Stalin was overwhelmed in fear of a military conflict with the US, while the CIA had become the biggest money-laundering institution to dwarf the Mafia, and was also inflating estimates about threats because they couldn’t find enough “assets” to gather reliable intelligence. A lot of money and fear were riding on US foreign policy and military-spending choices. With a background that $1 billion annually had been spent by the US National Security apparatus between 1945 and 1960 on refining the manipulation of target populations through propaganda and psychological warfare (see Simpson, “Science of Coercion,” 1995), I believe there is solid evidence that the “blowback” of the JFK murder was a deliberate practice or instance of practice deriving from that research. Further, it didn’t come from the entire CIA establishment; it may have arisen from a faction that included elements of CIA; and it may have been concocted by a single individual with access to information about CIA projects and resources. And finally, in that instance of practice, it is quite possible that anyone involved in it would never be sure about the real identity of “co-conspirators,” even if those same individuals hob-nobbed together from time to time in South Florida, Mexico City and Langley, Virginia — fully knowledgeable at those latter get-togethers of each one’s true identity. 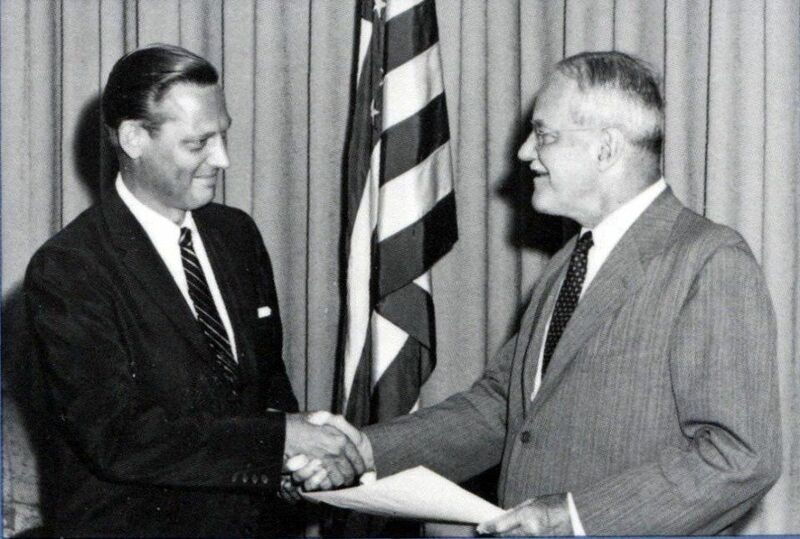 David Atlee Phillips was Director of Cuban Operations in Mexico City, sharing “acting Station Chief” position with E. Howard Hunt during September/October 1963, when Win Scott was absent. “The FBI participated in the coverup” — that’s fairly substantiated through research by Pittsburgh Criminology professor Donald Gibson. He builds a case that Alan Belmont was the FBI official who participated in the coverup, but of course, there are other facts. Hoover had received letters — the “Senor Pedro” letters they were called, ostensibly from Cuba, implicating Oswald as working at Castro’s behest. But those letters were likely originated by Phillips, who had contacts in Havana, and whose specialty was black propaganda. And such letters would’ve been the blackest propaganda ever, since it was literally impossible to verify or prove the letters genuine. Phillips’ “Night Watch” was published in 1977. The first recognition of those pages about the “Anaconda snake” were published by Randy Bednorz around late 2000, in an MSN “Conspiracy” web-forum. The Anaconda passage is a snowflake on the tip of the iceberg in Phillips’ books. You can suspect, you can believe, you can hypothesize. It is very likely an allegory in the literary sense. But it doesn’t “prove” anything without further confirmations of passages in those books. It suggests something. Then, the “Regicide” book appeared, with this “Operation Zipper” theme, and the book is based on document fabrications — document forgeries. It points to Angleton and Hoover. And the author (whatever his real name is) includes a list of AFIO/ARIO [Association of Former/Retired Intelligence Officers] whom he supposedly tapped for his research. But that list has been published all over the place. Even so — the list contains a very interesting entry: Virginia Phillips — Dave Phillips’ widow. Between Phillips’ successful lawsuit in 1983-1986 against Washington Post, Washingtonian Magazine and London Observer for insinuating that he was “involved” in JFK’s killing, and the publication of this “Regicide” book, who do you think has an interest in pointing people away from Phillips? The family. Another researcher had interviewed Phillips’ brother — James Atlee Phillips, former Hollywood script-writer and spy-novelist (aka Philip Atlee), and the skinny on the street was that James said David “confessed” on his deathbed. What about nephew Shawn Phillips, the rock-star? How would you like to be “related” to the guy who planned and executed the JFK murder? INCIDENTALLY: ONE MORE POINT: Phillips never uses the word “Anaconda” to describe the snake in that passage, yet everyone knows that such giant snakes in the Amazon are called Anaconda snakes. Think about that. What comes to mind when you treat the word “ANACONDA” as an anagram? Phillips moved to Chile with his first wife, Helen, after the war. He bought an English-language newspaper there — “The South Pacific Mail.” He pursued his acting aspirations in community theater, and continued with his writing — something his mother encouraged. That is, he also wanted to be a playwright. He had been held hostage in a Nazi POW camp. So he wrote a comedy called “The Snow Job” — based on that experience. Mustered into CIA in 1950, he attempted to produce the play on Broadway in 1953. The play debuted two weeks after another POW play — “Stalag 17” — brought down the house as a roaring success. Phillips’ play flopped. His last book appears in three editions. The first — “My Secret Wars Scrapbook” — seems to have disappeared, evaporated, never to be seen by even the CIA and FBI libraries, or any libraries that can be found through a national database of libraries and books. This is a mystery. The second edition — labeled on the front cover as “First Edition” — was entitled “My Secret Wars Diary.” There seem to be only seven copies of this edition: one at Harvard University; another at the CIA library; another at the FBI library; one at Virginia Military Institute; the rest — who knows. Phillips explains in the text of his book how “The Snow Job” flopped because it was overshadowed by “Stalag 17.” He says that he was in New York when the play ran. The third edition — also labeled “First Edition” — was published the year Phillips died of cancer. The passages about “The Snow Job” and “Stalag 17” with any mention of Phillips being there were eliminated. Thomas Powers, who wrote “Man Who Kept the Secrets” about Helms, wrote the Forward to the book, and made note of Phillips’ play flopping on the heels of “Stalag 17.” And there are even insinuations — newspaper articles — showing that Phillips was in Fort Worth when the play debuted. CIA authors were required to submit their manuscripts to colleagues for review, to assure that “secrets were kept.” This would be a particular challenge to Phillips. It would feed his self-addiction to a game that would allow him to boast about his greatest “achievements.” So like the serial-child-murderer in the old German film (Peter Lorre) “Der Kinder Mord,” like the villain in the Hannibal Lecter pre-quel “Red Dragon,” he would leave clues — either at the crime-scene as with the fictional stories, or in published books. “Hide in plain view.” This concept becomes important when we examine how Phillips couldn’t resist publishing clues about his clues, and his Edgar Allen Poe fetish. The producer of “Stalag 17” had been a publicist for Walt Disney. He had dropped out of high-school for a learning disability, but read voraciously. He served in the Merchant Marine. In the early 1950s, he had an ulcer — stomach trouble — and gave up the publicist work, deciding to become a writer of novels. His very first book was published in 1958, entitled “The Oldest Confession.” This is an important book as background to what follows here, but must be discussed in context. The author wrote an autobiography, in which he describes morning walks in Paris along the Champs Elysees with Robert Mitchum during the mid-1950s. He had also been in Havana, Cuba in 1954, visiting Ernest Hemingway. His second book — published the year Oswald left for Switzerland — was “The Manchurian Candidate.” His name was Richard Condon. Phillips describes being in the same room with Hemingway, in Havana, during 1954. Is anyone familiar with the concept of “degrees of association?” For instance, six degrees of association: “I know somebody, who knows somebody, who knows somebody, who knows somebody, who knows somebody, who knows someone who lives in China.” China has something like a billion people. James Atlee Phillips, the screenwriter and father of Shaun Phillips, together with David Atlee Phillips, worked with Mitchum personally on the 1958 film “Thunder Road.” It, also, deals with a Korean War veteran who returns home to run moonshine whiskey. They knew each other extensively. Mitchum was John Frankenheimer’s favorite actor, according to a direct quote from the latter. In the milieu of Hollywood, what do you think are the odds that a producer/director would get a chance to meet his favorite actor several times? Whoever was at the center of both the coverup conspiracy and the actual execution of the assassination was at the center of it all. And that laser-spot falls on David Atlee Phillips.